So. Do you ever look at something that in and of itself is completely benign and straight forward, but taken into context with the memories that item brings to mind can leave you awash with forgotten emotions? At best you feel a twinge of heartbreak or perhaps a smile from some long ago happy day or at worst you’re left blubbering in the seasonal candy aisle in the Dollar General Store in town. Which is exactly where I found myself a few days ago. Now I’ve never bought candy at the Dollar General Store in my town as I’m something of a candy aficionado and I prefer the “good stuff.” Quite often you’ll find me at the Cracker Barrel for the old-fashioned candy they sell (Peanut Chews, Maple Leaves, and a good brand of old-style Almond Brittle are among my favorites) or I scour the internet for the chocolates I can’t find elsewhere (Ice Cubes come to mind) and of course the Rocky Mountain Chocolate Factory in the outlets near me see my face quite frequently because I admittedly covet their chocolate covered strawberries and other decadent goodies. But I digress. Deliberately so. Anyway. 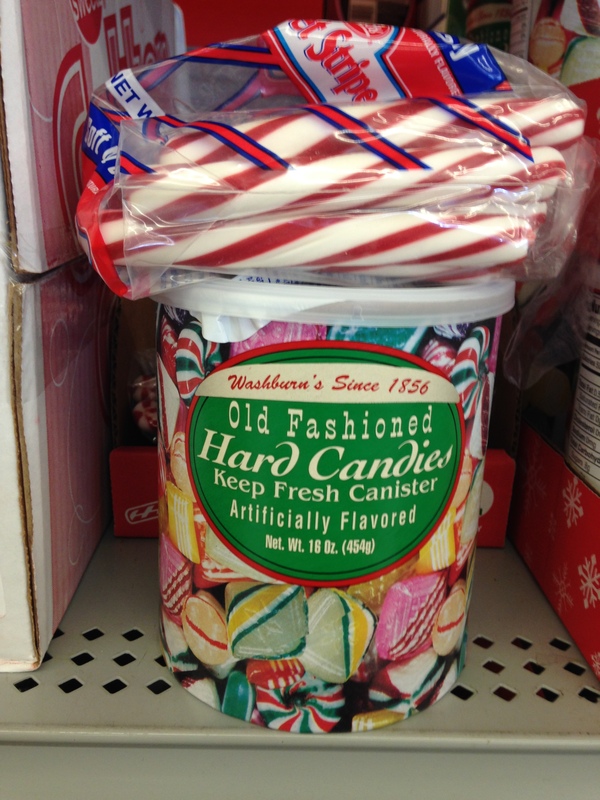 While at the dollar store, I stumbled across two types of candy that I would often purchase this time of year for my Great-Aunt Bunny while she was in a nursing home. You guys may remember Aunt Bunny, I’ve talked about her before. She’s from the West Virginia crew of Mooney girls who tried the patience of their mother and are now undoubtedly livening up the realms of Heaven. Well, for Christmas, I would send her this huge care package of goodies that included the best kinds of her favorite candy but other treats as well that she wasn’t supposed to have…but no one could take away from her since it was in the form of a present. This tickled her to no end. We’re talking a huge box full of stuff, it looked like I was preparing her for a trip through the Serengeti. If it was a trip to be sustained on sugar and junk food that is. I took my self-imposed obligation seriously and my search for the perfect candies and snacks to include each holiday started early, probably right around this time of year. Which is why seeing the candies at the Dollar General Store hit me so hard I guess. Aunt Bunny was never crazy about chocolate although I always sent her a bit…one year it was Chocolate Peppermint Penguins and one year it was Buckeyes, always something different. Mostly her stash was filled with things like Claeys’ Hard Candies of all sorts (licorice, lemon, horehound, rootbeer), old-fashioned Ribbon Candy, a type of old-style hard candy as shown in the photo below, peppermint sticks, Divinity, Maple Leaves, and, because it couldn’t be all sweet-stuff, I’d include pork rinds and the like as an extra tasty treat. Bless her heart, Aunt Bunny always tried to eat everything immediately, but eventually she had to hoard it and ration it out piece-meal so as to enjoy it longer. Although I don’t think it ever lasted much past the New Year. I think I enjoyed finding the items to include in her goodie box as much as Aunt Bunny enjoyed eating them. I won’t be doing it again this year. And that’s how I ended up a teary-eyed fool at my local dollar store. I’m sure I was a sight. Strangely enough, I had a dream about Aunt Bunny the next night. She was giving away all of her things. Something she routinely did in life – we couldn’t leave her house on a Sunday afternoon without being burdened down with food, drinks, some knick-knack or another. She never wanted someone to leave empty-handed. At least not us. It became a running joke in my family. I miss that joke. I miss searching for Claeys’ Hard Candies. And I guess for a while, I’ll be avoiding the Dollar General Store. 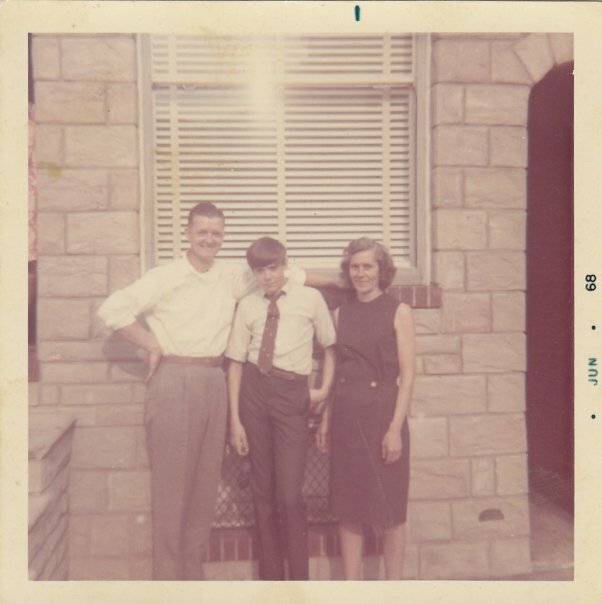 This entry was posted in Musings about Family Life and tagged aunt, Aunt Bunny, christmas, family, family life, great aunt, grief, life, life changes, memories, observations. Bookmark the permalink. Thanks. It was weird and unexpected. Your Aunt Bunny sounds wonderful! It’s odd what can catch us off guard and trigger powerful memories. She was cool. I should’ve taken more time to be with her as she was older. I regret not doing that. I have that deep regret about a few family members. It’s a nice way to remember though – but darn those things can really side swipe us! I love my memories of great aunts and yncles, grandparents. This took me back and a wash of nostalgia and missing those simpler days. I like maple leaves and divinity candies. The great aunts were Auntie Marie, Aunt Do and Aunt Harriet. They lived in Rockport, Massachusetts. Oh, how fun it was to visit them, too. My grandparents spoiled us in different ways. Sorry about my comment having typos. Missing simpler days was the best way to describe the 5 cents and dime store. Thanks Theresa, for your kind words of understanding. Horehound drops are great for sore throats and the like. I hadn’t heard about using them for whooping cough but I’m not surprised. I like them just for the taste. I hope you have a great Halloween as well!